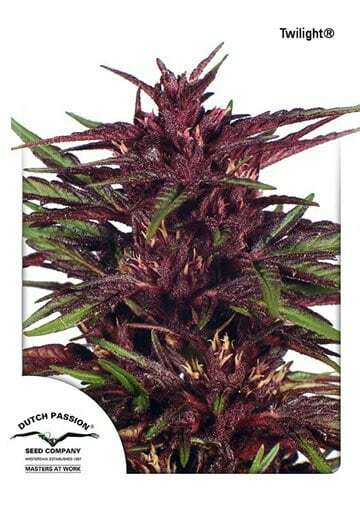 Twilight is a beautiful Dutch Passion feminized strain highly productive and with a heavy taste. It is a pure Indica. Twilight from Dutch Passion is one of the outdoor strains with which growers have been more loyal, due its great features like elegant purple buds, narcotic Indica high and growth uniformity. 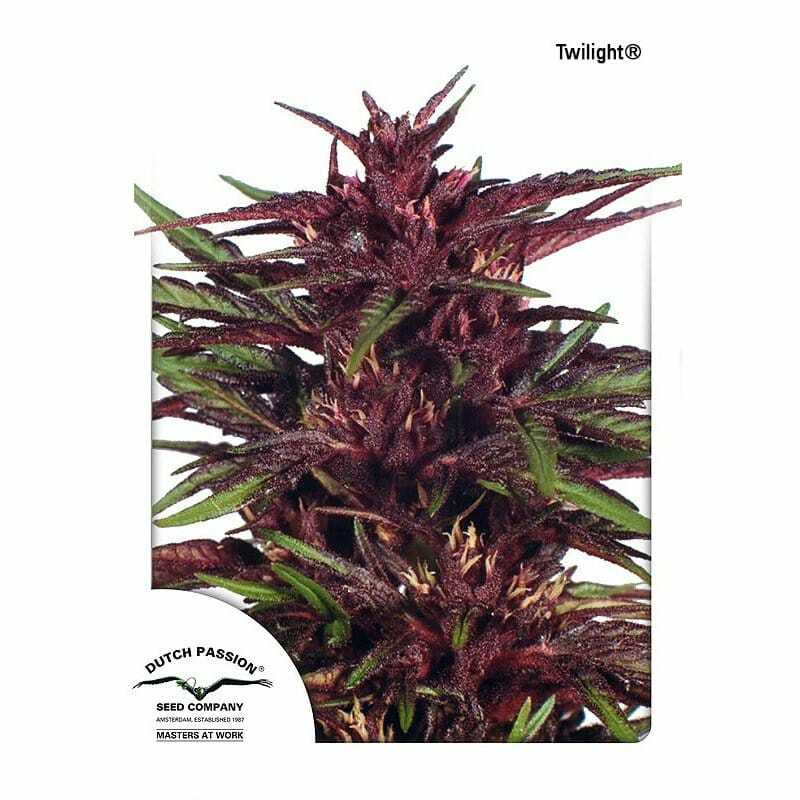 Twilight is definitely an amazing and beutiful purple strain, pure Indica, highly productive and able to produce buds able to reach two feet tall if grown properly. In the outside we recomend to grow it after May 15th and collect it in late September or early October after 7 or 8 weeks of flowering. The plants can reach between 1 to 1.5 meters in height and able to offer interesting crops. During the autumn, the planst acquire purple tones becoming so beautiful that you will want to sit and watch them. It has a durable and psychoactive effect, earthy flavor and Afghani aroma. A highly valued strain by medicinal users who say it is very effective for chronic pains. They recommend smoking it in the evening. Twilight is a reliable outdoor strain, 100% índica that has been popular for many years for bothe the therapeutic and recreational users. A good producer with a real corporal indica high and a very nice mental effect. Twilight is a strain that you will want to grow repeatedly being greatly recommended for outdoor Indica lovers.